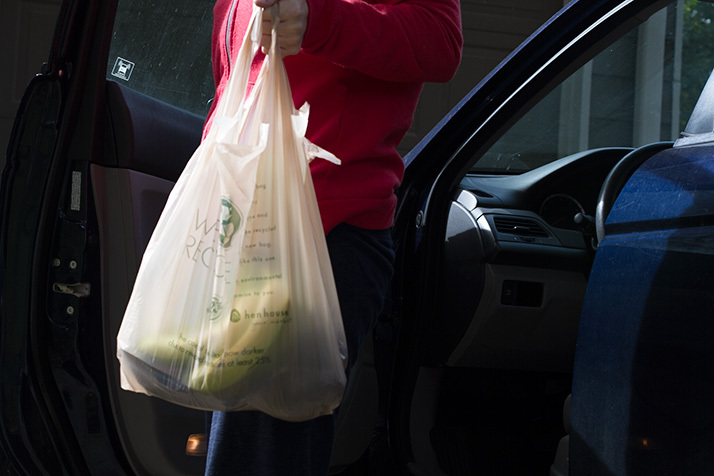 Uncertainty over what kinds of plastics are recyclable often lead residents to put items in their bins that can’t be processed — a concern as rules over how many “contaminants” can make up recyclable waste change. China’s tighter restrictions on the amount of contaminants allowed in imported trash is shifting how Johnson County’s recyclables are processed, Megan England, Johnson County Solid Waste Management Committee member, explained to Roeland Park councilmembers Monday. Johnson County had been exporting recyclables to China containing 1.5 percent of contaminants, but recently the contamination rate was dropped to .5 percent per ton. The most common contaminant is non-recyclable plastic. The tighter restrictions are part of China’s National Sword initiative which debuted in early 2017. “I’m asking you here tonight to put this on your radar,” England said. England said that any Johnson County trash that cannot be recycled or shipped to China will end up in the Kansas City-metro landfill, located in Shawnee. Rules on the types of plastic considered acceptable for recycling frequently change making it more difficult to communicate to residents what should be going in their recycling bins and what should go into the trash, England said. And waste processors are having to spend more time and money sorting through items Johnson County residents placed in their recycling bins to ensure only non-contaminated items are included in exported materials. A Johnson County curbside recycling audit found that 81 percent of Roeland Park residents participate in the city’s recycling program but more than 8 percent of the bagged recyclables contained non-recyclable plastic, or contaminants. Roeland Park’s plastic rate was found to be lower than the neighboring cities of Prairie Village (22.9 percent) and Mission (12.5 percent), but Roeland Park also had lower overall recycling participation. England said while Roeland Park’s recycling efforts should be celebrated the city still had a long way to go to get to the required .5 percent plastic rate and pointed out that every piece of trash residents put into either a trash can or the recycling bin will end up in a landfill or will be sent to overseas. “So it’s a little sobering in my opinion,” England said. The Johnson County Solid Waste Management Committee will continue to brief cities, city officials, and residents on the new rule as the county works on its 5-year solid waste plan.